Let us enjoy a few hours of total relaxation on the amazing beach of Perivolos, where the black sand contrasts with the blue sea, and end our day with a visit to Fira, the island's capital and one of the most evocative cities on the Greek islands. 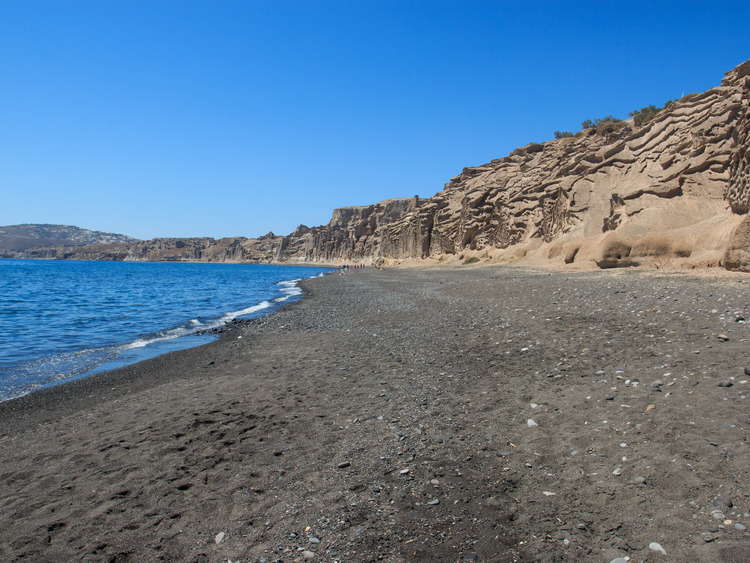 We leave the port behind us to reach the beach of Perivolos, a long stretch of black volcanic sand lapped by the crystal clear waters of the Aegean. Once there, we have five hours to relax and enjoy ourselves on this magnificent beach. And the sea is not the only attraction around! We will also enjoy a VIP treatment - loungers and parasols at our complete disposal, snacks and beverages included and a DJ set with some excellent music. We end our fantastic experience with a stroll around charming Fira, the capital city of Santorini. We walk along the narrow cobbled alleyways dominated by the white houses, azure doors and windows and blue church domes.